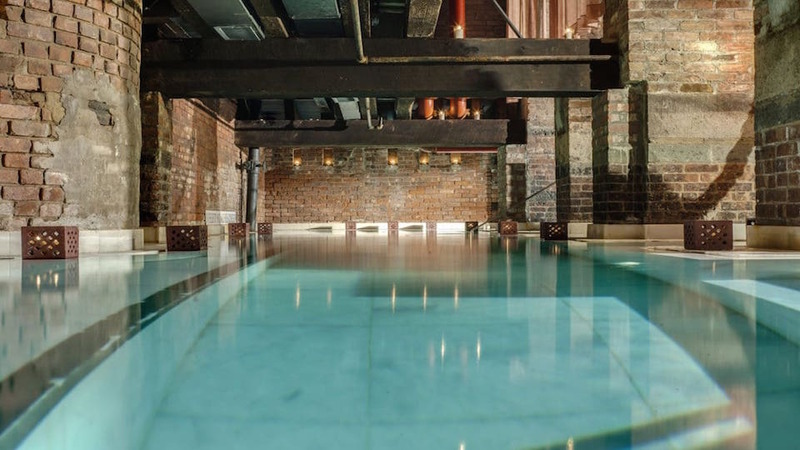 The chicest spa scene ever to open in New York's Tribeca, Aire is housed in a 19th century factory with the prerequisite grand brick columns and exposed walls that frame a modern palette of imported grey and ash-colored marbles aim to recreate the grand spaces of ancient Greek and Roman baths. Visitors arrive to a palatial white facade with Doric columns leading to an interior lounge framed in caramel leather sofas and reclaimed Louis XVI settee. A more-modern changing room with showers and lounge preps you for the public bathing ritual that best begins in the warm-water pool followed by the hot-water pool or steam room and ultimately with a dip in the frigid cold-water pool. 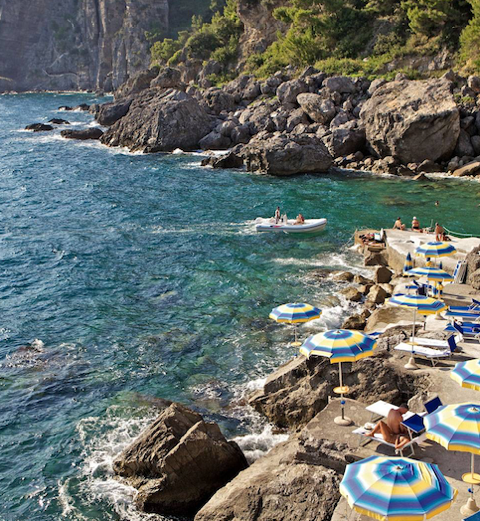 Despite its Euro ethos, the baths require all guests wear swimsuits that are also available for purchase should you forget your own. The 2-hour thermal bath session can be complimented with a 15, 30, 45 or 60-minute massage by one or two trained staff members.